About the instructor: Emily Weil is a painter who works in watercolor and acrylic and needs to paint as much as she needs to breathe. Her work has been shown at Slate Gallery in Oakland and Jco’s Place Gallery in Los Gatos, and she has exhibited at East Bay Open Studios since 2008, when her painting was featured on the directory cover. She obtained a BFA in graphic design from the California College of Arts and Crafts and operates a freelance design business, Red Eye Design, from her home in Alameda where she lives on a floating home. Emily loves to roam around and paint outside at Alameda point, Mare Island, Treasure Island, and various sites in San Diego, trying to capture the feeling of a particular place. 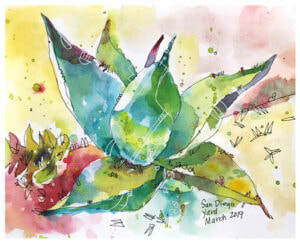 She has a daily painting practice and tries to sketch with watercolor or spend time in her studio in Oakland every day. 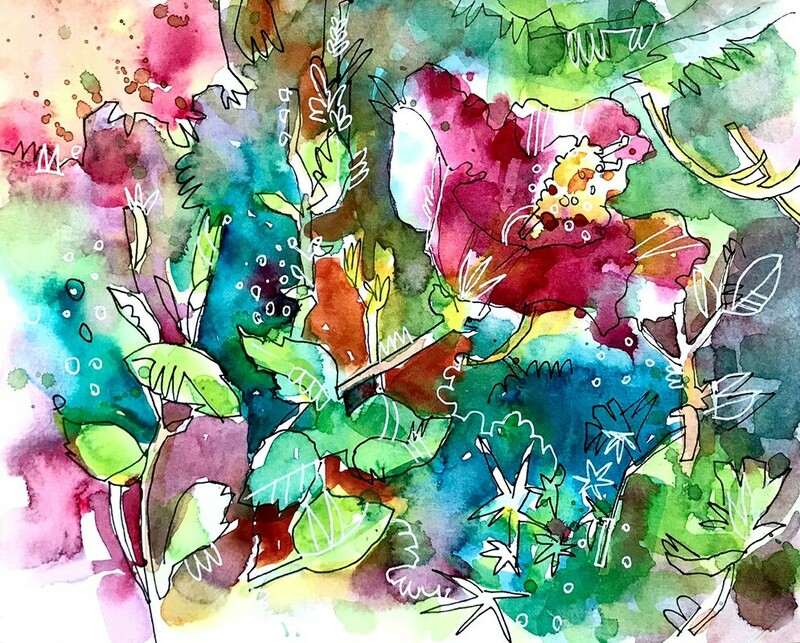 Description: Join Emily for a watercolor workshop exploring the use of a limited palette of Daniel Smith watercolors and adding pen work to a painting. Open to all levels of experience from beginners to long-time artists. Come with a spirit of adventure, a hunger to learn and experiment, and a willingness to experience the joy of creating in new ways. In this workshop, imagination and willingness are more important than skill and final results. ​Notes: All skill levels; 16 years old and above Minimum enrollment required for workshop to proceed. No prerequisite. Limited seating! All artwork work is property of and by Emily Weil To learn more about Emily and view her work, please visit her website at EmilyWeilArt.